Radio MAMA is an indigenous broadcaster based in three rural and remote locations in Western Australia’s Mid-West. Radio MAMA and HCR strengthen community engagement through workshops with community members who participate in the design, production and presentation of radio messages for health and social development campaigns delivered by local service providers. 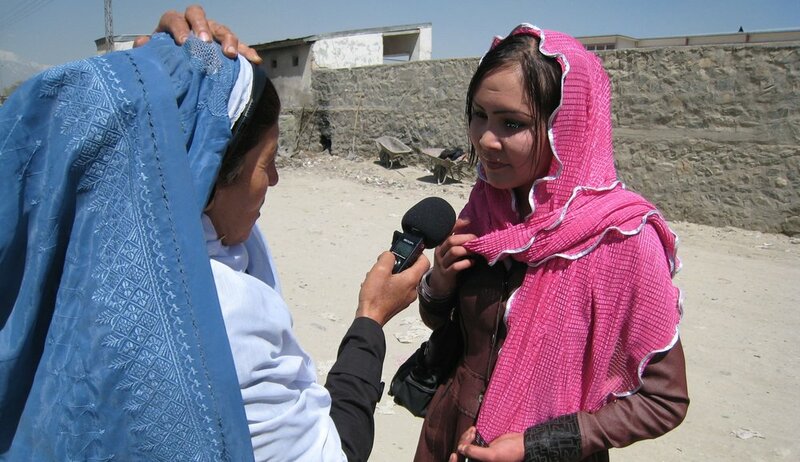 In north west Pakistan, HCR Pakistan has trained community volunteers to produce community centred radio programmes. The programmes tackle issues raised by community members, and encourage everybody to be involved in dialogue. Naway Saher is breaking down barriers between community groups that were traditionally separated by cultural and religious factors. This project, which started in response to floods in 2010, combines on-air and off-air activities to promote health, dialogue and inclusion. In an effort to prevent further violent conflict in eastern Kenya’s Tana River County, HCR partnered with the Sentinel Project for Genocide Prevention to set up a peacebuiding radio station to promote peace, health and social development among the communities of the region. The station went to air ahead of the 2017 polls and contributed to a peaceful election process. HCR is partnering with Believers Broadcasting Network (BBN) in Freetown and local community volunteers to strengthen community health, wellbeing and resilience. Amplifying Voices through SALT encourages people to tell their unheard stories. An affirmative listening process explores community strengths, builds trust and grows confidence for communities to develop local responses to challenges they face. HCR is partnering with Seva Social Welfare Foundation to tackle poor health and build resilience in indigenous Adivasi communities. In a remote parts of India’s Maharashtra state Adivasi communities don’t have access to radio, television or mobile phones. Many villagers can’t read and are deprived of basic facilities such as clean water, food, sanitation and healthcare. Seva augments their healthcare activities by distributing “speaker boxes” which play audio content stored on update-able memory cards. Based on the community’s own stories, the audio content includes local-dialect dramas, music and talk programmes that educate, inform and entertain. Torn apart by 20 years of brutal and bloody conflict, North Kivu in the eastern Democratic Republic of Congo (DRC) is one of the most violence-stricken parts of the world. In a region with huge economic potential, many armed groups without specific goals regularly engage in fighting - with devastating consequences for the local populations. HCR worked with partners to set up a peace-building radio station on the edge of the so-called “Triangle of Death” which is making a significant difference to health and development in the region. Community volunteers are also actively trying to engage with armed rebels in the national park, through the radio station, to encourage them to lay down their arms. Using the newly established radio station, Amani FM, Tuanze Biashara (Let’s Start a Business) is a project designed to stimulate the creation of small businesses in an area affected by widespread poverty. It involves an innovative mix of creative radio programmes, live ‘phone-in discussions, social media interaction and workshops to encourage local people, irrespective of their education, to develop their business ideas and then put them into action. HCR is part of the steering group of Stop the Child Witchcraft Accusations (SWCA) - a network of practitioners and academics advocating for the rights of children accused of witchcraft. HCR is continuing work on a project initiated by Feba, that enables street living children in Kinshasa, DRC to tell their stories on radio and video. These stories are helping to change negative perceptions of street children and challenge the wider community and churches against making harmful accusations of witchcraft against children. In Mindanao, Radio Gandingan (RG) is an educational and advocacy radio program that is produced by community members. Community Radio Volunteers (CRVs) from marginalised communities participate in the design, gathering and presentation of audio for radio programs. Listeners say the radio program has contributed to a reduction of community violence and an increase in positive family dynamics. 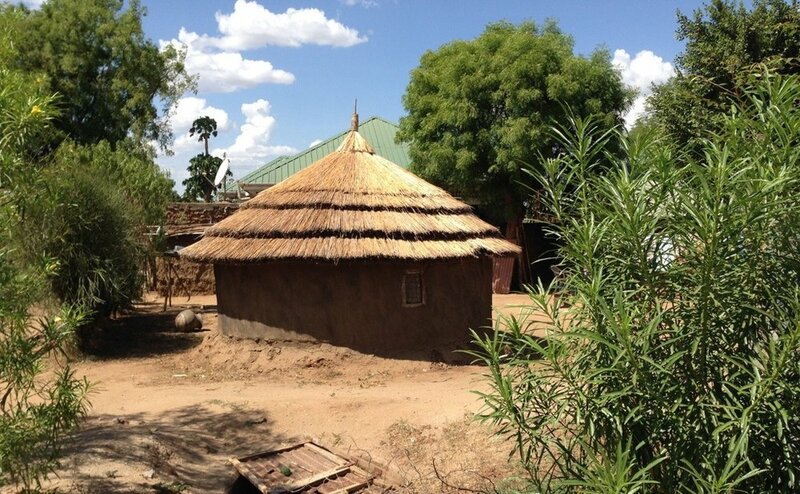 As tensions between factions in South Sudan deteriorated into civil conflict, HCR was commissioned by BBC Media Action to help transition their ‘edutainment’ serial radio drama from a health focus to a peacebuilding focus. Working with local BBC script writers, HCR ran a workshop and held ongoing consultations to design the new programme, help the team understand the conflict environment and engage more effectively with communities to create relevant material for the dramas to influence behaviour change. In Tari, the capital of the Tari-Pori District and the centre of Huli country in the Hela Province of Papua New Guinea, HCR has trained community members from 5 districts in community-centred media principles to operate a new radio station currently under construction. HIV/AIDS information and education was provided to 2000 villagers in the Indonesian province of West Papua with audio programmes modelled on a radio programme format. A media unit of volunteers was trained to produce audio products with contributions from communities. Programs were distributed to the communities for replay on solar-powered MP3 players to ensure those with low literacy rates would have increased access to education. WIND FM is a radio broadcast network in Mongolia aimed at strengthening family values through integrated radio programming and community activities in collaboration with local organisations. Teams of community volunteers are trained to gather and produce key feature material. Professional development workshops for service providers enable them to contribute radio programming focused on local issues. HCR was asked by UNICEF to assist with a youth health initiative, applying community-centred media principles to engage the youth community and encourage them to improve their life-styles. Radio Djati, in Banda Aceh, Indonesia, was created to support the December 2004 tsunami recovery operation and was the pilot project for the Rapid Response Radio Unit initiative developed by HCR but which has now become an independent organisation. The station continues programming that is designed to improve and enhance the quality of life of local communities with community education and advocacy through on-air programming and off-air activities. Heartline Bali FM mobilised local organisations in a multi-faceted project with on-air and off-air activities in a traditional Balinese village. Activities included mobilisation of mothers and health workers to improve infant nutrition, a radio station-based book library, volunteers trained as community radio reporters, a low-impact cultural daytour designed in collaboration with the community to contribute to the local economy from tour fees paid by foreign tourists. A community-centred radio station in Okhuldunga, Nepal, has an intense focus on participation by the local community in designing, producing and contributing to local programs. Individual health behavioural change and community-wide social change has been documented. Government agencies have become more engaged in providing education, information and service to the communities. Social capital has increased. Following violent conflict between the Orma and Pokomo communities in 2012, which claimed many lives, HCR worked with CBO KESHA local communities to set up Tana FM in the town of Hola. The station was designed up to help build peace between rival communities living in Tana River county, especially in the run-up to the 2017 elections and contribute to health and social development in the region. As part of a peacebuilding initiative, HCR was asked by partners Morningstar Development and Reach Beyond (formerly HCJB), to upgrade and develop their community radio station and provide training for community health workers and other volunteers. The project has helped build community cohesion in an area where there were tensions between Tajik and Pashto communities. Despite many challenges the radio station is still active and effective. In an effort to prevent a repeat of post-election violence that had affected Dagoretti Township in Nairobi, HCR was asked by Mtaani FM to provide conflict-sensitive journalism training ahead of the 2017 elections. HCR trainers worked with producers to prepare for the elections and provided outside broadcast equipment and training to enable the station to cover events live. As the tragedy of the Syrian civil war began to unfold, HCR joined a consortium of Christian agencies to begin daily, live broadcasts to provide critical information, hope and healing to refugees flooding into Lebanon and Jordan. 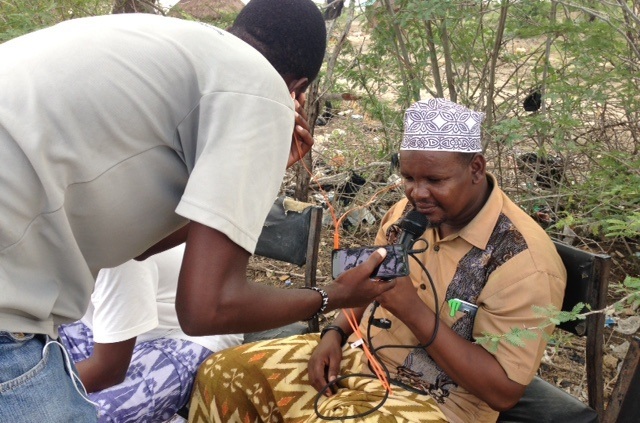 Using the principles of disaster response radio, HCR’s role was to help design the programme, train a team of refugees in daily programme production, link with the humanitarian cluster groups, monitoring and evaluation.